Devotees of the AMC program The Walking Dead love the take no guff attitude of Samurai Girl, aka Michonne. For fans of the show and Asian weapons enthusiasts, The Michonne Katana, with wall mount plaque and poster, is a must have. 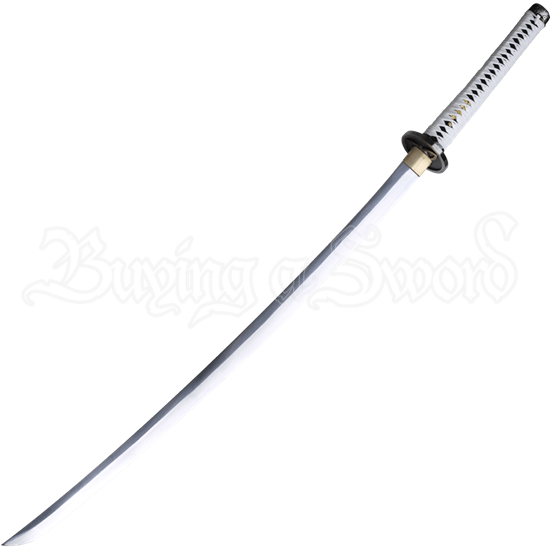 This collectible sword features a 1045 high carbon steel unsharpened blade. This display piece has numerous identifying details. A full color wall mount plaque and a poster each show Michonne wielding the katana. This is the officially licensed sword from season 6 of The Walking Dead.